Maternity clothing dress Maternity clothing dress bell shaped muumuu give women the option for a loose hip fit. They are convenient for expecting mothers and women who need a wider bottom dress. 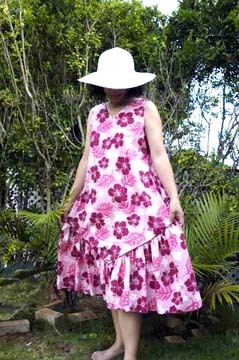 The bell shaped designed muumuu is popular for the use as a maternity dress. 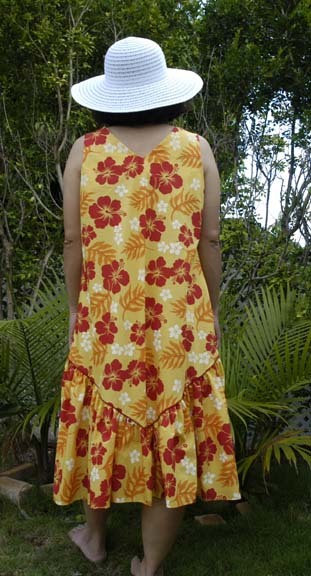 Bell shaped muumuu are made of cotton/polyester and designed for easy slip on comfort. Come with a convenient pocket on the left side. Now you can have a maternity clothing dress that is colorful, attractive and comfortable. They come in medium length going down just below the knees. The model in the picture is 5'4" tall and has on size small. We also handle WHOLESALE ORDERS starting at a quantity of 24 or more. Click on picture link below to view size selections.